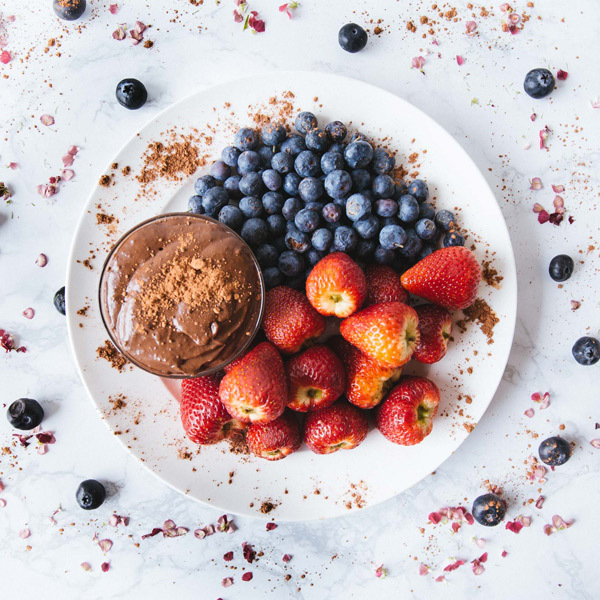 For this week’s Shakeology recipe, we created a vegan Dark Chocolate Peanut Butter Fruit Dip that will satisfy your chocolate peanut butter craving but is still healthy enough for a midday snack. Serve with berries like blueberries and strawberries or even consider trying it on pineapple for a summery treat! If you don’t have Chocolate Vegan Shakeology on hand you can always substitute Chocolate Shakeology into this recipe; just keep in mind doing so will alter the nutritional information a little. 1. Combine ¼ cup almond milk, peanut butter, and Shakeology in a medium bowl; mix well. 2. Add remaining almond milk, 1 Tbsp. at a time; mix until well blended and smooth.